The first of the following excerpts comes from Fox News. The U.N. General Assembly adopted 20 anti-Israel resolutions this year, while passing just four for the rest of the world – one for North Korea, one for Syria, one for Iran and one for Russia. A variety of U.N. agencies singled out Israel for rebuke. U.N. Women chastised Israel as the world’s only violator of women’s rights making no mention of misogynistic practices in Saudi Arabia, Pakistan, Afghanistan, Iran and other societies oppressing women. The International Labor Organization condemned Israel as the only violator of labor rights. UNESCO, which is charged with safeguarding World Heritage sites and history, adopted a resolution condemning Israel for engaging in aggressive actions in East Jerusalem, referring to the holiest site in Judaism, the Temple Mount and Western Wall, solely by Islamic names Haram al-Sharif, Al Aqsa Mosque, and Buraq Wall Plaza, negating thousands of years of Jewish and Christian heritage. The Buraq is the winged horse that, according to Islamic tradition, the Prophet Muhammed rode during the Night of Ascension to heaven. To read the full article on Fox News, click here. This was a blow against Israel, from which it will have a hard time recovering. The Trump administration cannot do it because it requires Security Council action. And that you can’t get without the Chinese and the Russians who will never undo it. The fact is that Americans have to really think about why we still invest, support, and, in a sense sort of psychically invest in the U.N., which was a great idea 70 years ago when it was an idea. But it’s a complete failure, and it’s a farce. Sixty percent of its activity is devoted to reports, attacks, denunciations, and demonization of one state — the one Jewish state on the planet, a dot on the map. For example, you hear about the World Health Organization — it corrupts everything it touches — talking about Israel causing a health crisis within its territories. This is at a time when the Russians are dropping bombs on pediatric hospitals in Syria, where children there were dying, for lack of medicine, lack of food in a siege. And they’re obsessed with Israel. This is really a time when we’re going to have a lot of disruptions, a lot of rethinking of our relationships — the way we are, for example, with Taiwan and China. Time to rethink our devotion, slavish devotion, to an institution that devotes itself to attacking an ally and to undermining American interests. It is a common mistake to equate the geopolitical area of Israel, with the Lord's chosen people. Dan Peterson has outlined how the issues are not so clear cut that we can just unilaterally say Israel is correct. 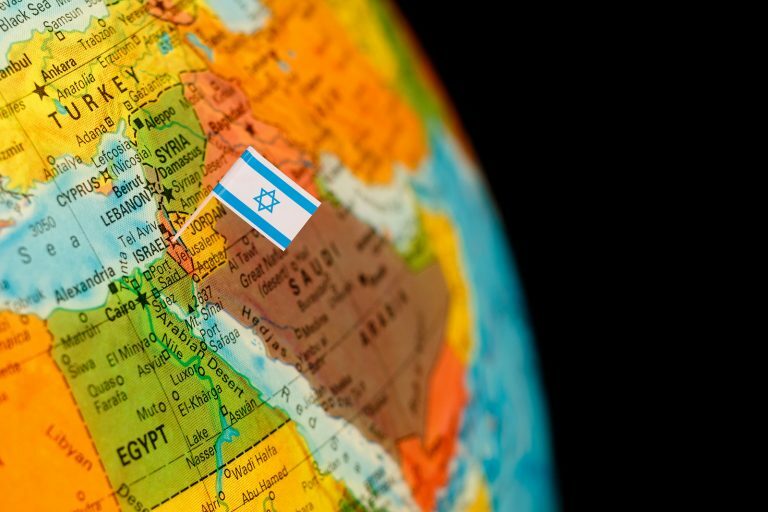 The Jerusalem Study Abroad exposes its students to both Palestinian and Israeli teachers and thoughts because both are legitimate heirs to the geopolitical area. Yes Israel is entitled to be safe. And that should be done compatibly with peaceful Palestinian access to land and resources. I'm one who hopes the next President does move the embassy to Jerusalem, but also that he discourages settlement in the areas acquired by warfare, rather than negotiation. In the meantime, I do not contend that I must always support Israel in its political choices in order to be supporting God's chosen people. We are living in the end times, when all nations will rise up against Israel and the US will stand alone in its fight to save God's chosen people.